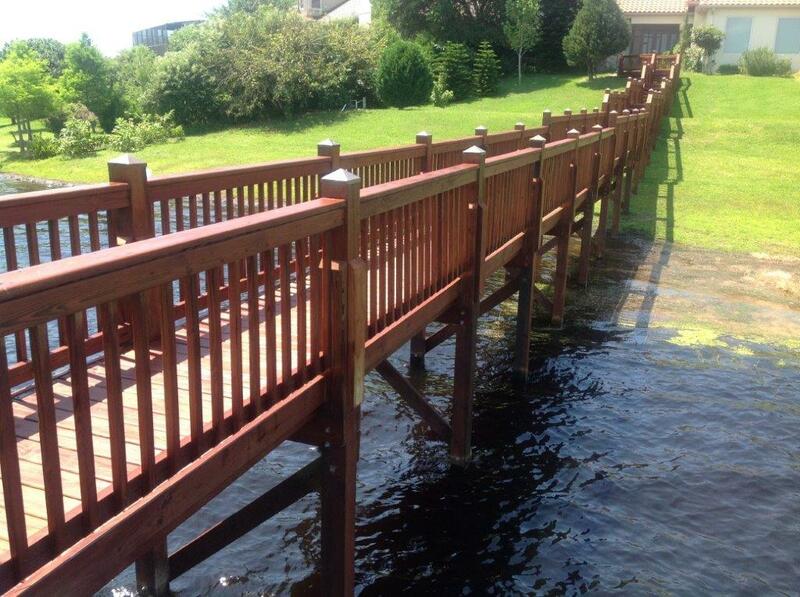 Mr. Morgan originally solicited a quote from Fender Marine Construction for the work of designing and building a new dock, open deck, covered deck and double boathouse for his West Orange County home. 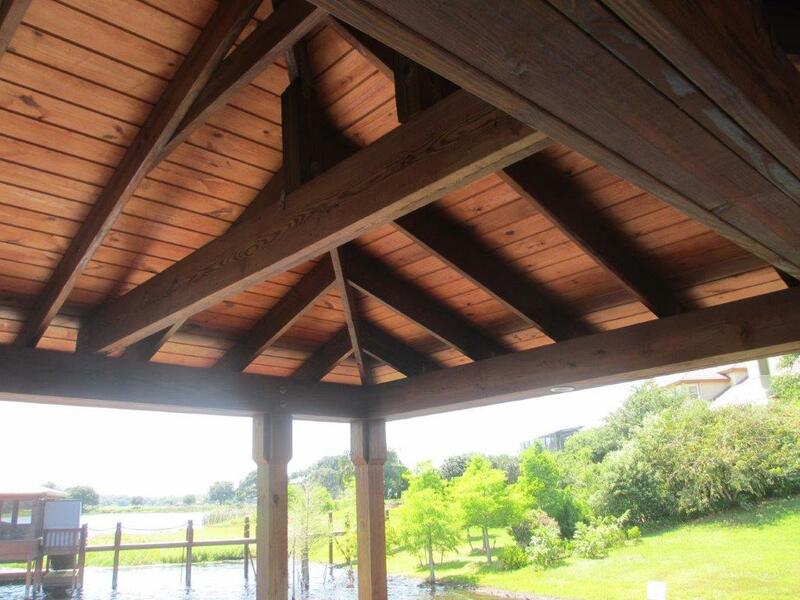 Several months after Fender Marine provided the boat dock and boathouse quote, Mr. Morgan called us with a problem. He had hired and unlicensed and uninsured “dock builder” for the project we had previously quoted. Although the illegal contractor had acquired a permit using another real contractor’s license, the design was flawed and the work they had performed was substandard. Mr. Morgan hired Fender Marine Construction to take the project over. Fender Marine altered the engineering to make it structurally sound and pulled the permit again under our State Certified Marine Contractor’s License. When the original dock builder hired the other licensed contractor to pull the permit for him, they both committed a Third Degree Felony known as “Aiding and Abetting and unlicensed contractor.” While the illegal dock builder’s quote was lower than Fender marine Construction’s quote, the homeowner found that the original dock builder designed a bad dock and could not build what he designed. 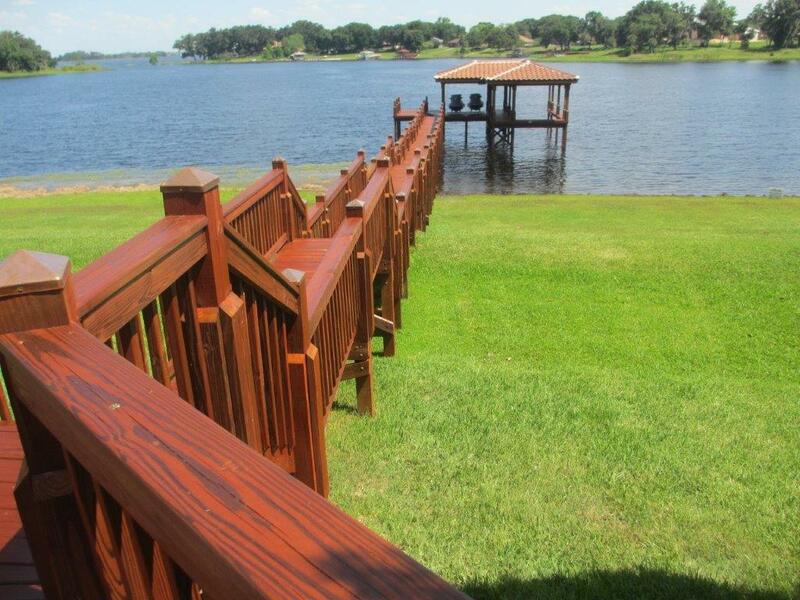 Therefore the homeowner fired the illegal dock builder and hired the real Marine Contractor, Fender Marine. We came in, finished the project and developed another happy customer. By the way, we did not pick the paint color.